This reimbursement summary contains information on federal Medicare reimbursement and CMS fee schedule. The Rural Health Clinic Services Act of 1977 (Public Law 95-210) was enacted to address an inadequate supply of physicians serving Medicare patients in rural areas and to increase the use of non-physician practitioners such as nurse practitioners (NPs) and physician assistants (PAs) in rural areas. RHCs are paid an all-inclusive rate (AIR) for medically-necessary primary health services and qualified preventive health services furnished by a RHC practitioner. This reimbursement summary contains information on state specific definitions for telemedicine/telehealth, and information on Medicaid reimbursement for the state of Illinois, as well as links to the state Medicaid Reimbursement Fee Schedule. 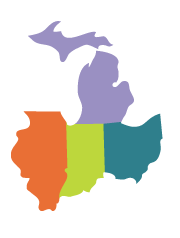 This reimbursement summary contains information on state specific definitions for telemedicine/telehealth, and information on Medicaid reimbursement for the state of Michigan, as well as links to the state Medicaid Reimbursement Fee Schedule. This reimbursement summary contains information on state specific definitions for telemedicine/telehealth, and information on Medicaid reimbursement for the state of Ohio, as well as links to the state Medicaid Reimbursement Fee Schedule. Is your door open, closed, or somewhere in between? Telehealth and Telemedicine can be intimidating, scary, exciting, and to some completely absurd. Some close the door, and think, absolutely not, we cannot see patients and communicate with other providers through a screen. What's a mile long and packed with 45,000 people from over 90 countries? If you guessed the HIMSS 2019 Annual Conference, you would be correct! 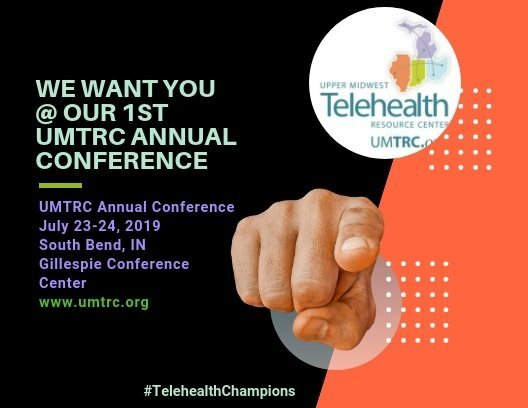 This project is/was supported by the Health Resources and Services Administration (HRSA) of the U.S. Department of Health and Human Services (HHS) under grant number G22RH30351-01-00 under the Telehealth Resource Center Grant Program for $325,000. This information or content and conclusions are those of the author and should not be construed as the official position or policy of, nor should any endorsements be inferred by HRSA, HHS or the U.S. Government.